Gross Weight (GVWR) 14540 lbs. 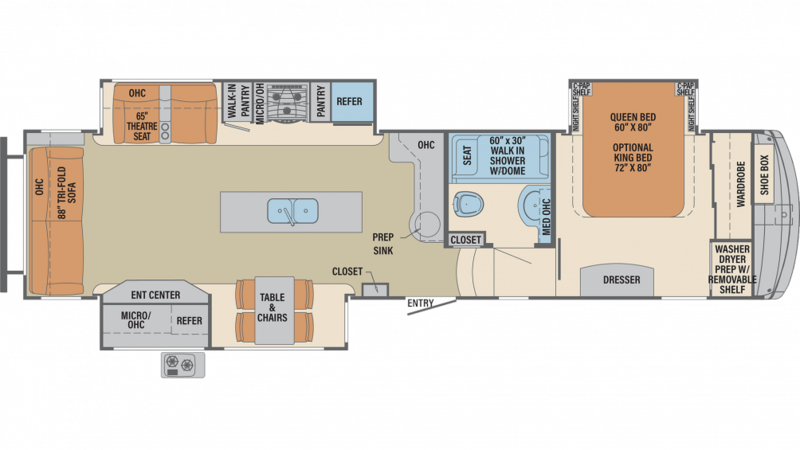 Travel the country with this New 2020 Palomino Columbus Compass Series 366RLC! At TerryTown RV, we have a massive selection of 5th Wheel RVs, making us one of the top Michigan RV dealerships! Stop on by 7145 Division Ave S Grand Rapids Michigan 49548 or call us at 616-455-5590 to learn more from one of our RV experts! A 18' 0" awning provides shade along the side of this 39' 6" long 5th Wheel. This rig has a GVWR of 14540 lbs and a hitch weight of 1779 lbs. Life on the road has never been better than in this great 5th Wheel! It's a roomy 39' 6" long, 8' 5" wide, and the 3 slides maximize the living area so there's room for the whole family to spread out! And even when the weather outside turns sour, the climate inside will stay comfy and cozy thanks to the modern 15000 BTU a/c unit and the efficient 35000 BTU furnace! The bathroom has a Porcelain Foot Flush toilet, so you won't need to go out to the communal bathroom! Enjoy hot showers with the help of the 60 lbs. of LP tank capacity. You won't need to worry about overfilling the 71 gallon gray water tank or the 39 gallon black water tank! When the weather is glorious and the outdoor family fun is in full swing, don't you hate having to leave it all and trudge indoors to cook a meal? Well, now you don't have to miss a minute of the good times because the 2020 Palomino Columbus Compass Series 366RLC has a terrific outdoor kitchen that you can open up and cook on anytime you choose.